Baby sign language is the use of hand and body gestures to help babies communicate before they learn to speak. Watch to see common signs you might want to try with your baby. 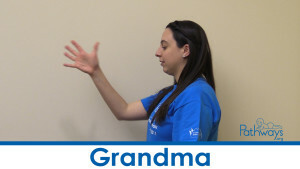 Is Baby Sign Language the Same as American Sign Language (ASL)? 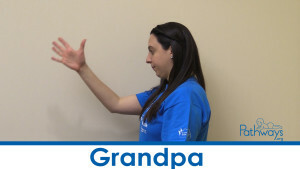 American Sign Language is a complete language with its own complex system of grammar and word order rules, where as the term “baby sign language” refers to using signs and gestures to communicate with baby. 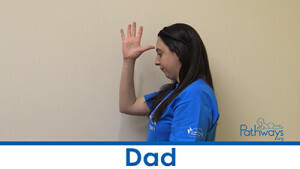 Some parents choose to use signs from ASL, however you can choose to create your own gestures/signs to communicate with baby. Pick signs that best suit you and your baby’s needs. 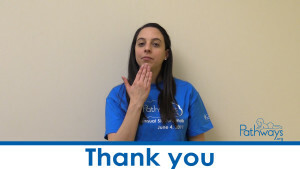 How Does Baby Sign Language Help? Teaching your baby to use signs could help them express their wants and emotions before they’re able to speak. Signing might help baby tell you they are hungry or want more of something. Increased communication can strengthen the parent child bonds. You can begin signing with your baby soon after they are born, but keep in mind baby may not be able to sign back until after they are 6 months old. 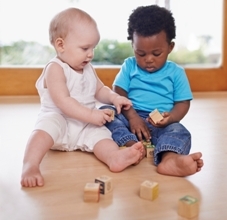 Remember all babies develop differently and it may take time for baby to understand signs and sign back. 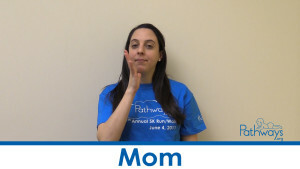 Try using simple signs during every day experiences focusing on three different words/signs. Say the words slowly and clearly as you make the signs. Words for objects are the easiest to start with because you can immediately show what your sign means. Practice signing to your baby often and ask other caregivers to sign to them as well. The more exposure they get the more likely they will begin to sign. Be sure to consistently use signs when talking to baby. After about two months of signing baby might begin signing too. Don’t be discouraged if baby doesn’t sign back, it may just take some more time. Get answers to your questions about teaching your child more than one language. Play is important! Children learn new skills at different stages of play. Read our blog post on the stages of play to learn more.